Finding the right massage chair can be challenging with so many products. Our Human Touch iJoy Active 2.0 Massage Chair review is described as one of the best-rated massage chairs on the market, and it's easy to tell why. It has a decent price, and it stands up to the expectations. Our experts have tested this product in person to reveal any potential discrepancies between the manufacturer's specifications and reality. Who Is the ijoy Active 2.0 Chair For? 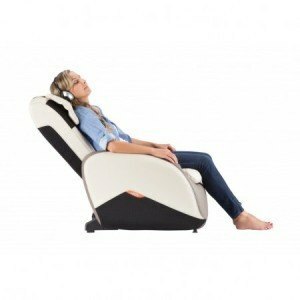 The iJoy Active 2.0 massage chair from Human Touch is mostly designed for people who want relaxation. This is its primary role. Whether you work long hours or you spend lots of time around the house, you'll want to relax at the end of the day and chase tension and pressure away. That's when you go sit in the chair and enjoy a relaxing massage. The unit is extremely popular among people with limited space too. Unlike other similar products in this segment, it's not a bulky piece of furniture. It can fit into a decently sized living room, as well as a bedroom or an office. It's great for flats too, not just houses. Measuring 32 x 27 x 30 inches, it's smaller than those traditional old-fashioned armchairs. The manufacturer has focused on what matters – a good massage. Most other companies focus on small features, bells, and whistles. The iJoy Active 2.0 model highlights the actual massage, as well as its effectiveness. Simply put, if you want a chair that will relieve pain and help you relax, this model is undoubtedly an excellent choice for your home or office. Human Touch is a front-runner regarding massage chairs. This model is one of its flagships, as it provides an exquisite value for money. We have had the opportunity to test this model in person, so here's what impressed us the most. 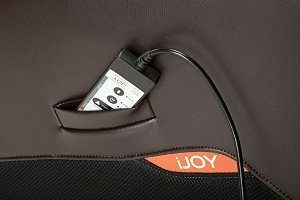 iJoy Active 2.0 is a massage chair that does not come with footrest hence it is not a place for you to sit and relax. If you want that, you can get an armchair to offer you better comfort. However, you should take advantage of its benefits. The FlexGuide technology is unique in this segment and provides an orbital massage through the entire chair. The feature is entirely based on professional massages. It steals the work from professional therapists and implements it into this chair. Its main focus is on sensitive areas that are more prone to pains, such as the lower back. The FlexGuide orbital feature will not disappoint in other areas either. It will target muscular structures exposed to potential damage and deliver a quick acting relief to muscles. Vibrations and massage movements will help you forget about fatigue, tiredness and strained muscles within minutes only. What works for some people will not necessarily work for you too, hence the necessity of a customizable massage chair. This isn't one of those random massage chairs you can find in shopping malls. Our review couldn't overlook this aspect, and we were quite impressed. No matter how picky you are, chances are you'll find a suitable program. At first glance, we were surprised to see three preset programs. If you're not sure what you want, go with these programs and see which one works better for you, then individualize it. You have a small control panel to create a personalized routine. It's up to you to decide what you need. 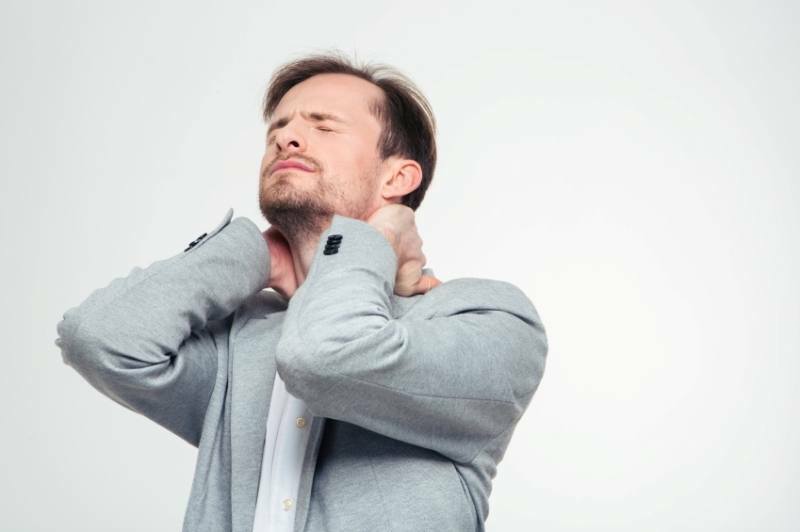 If you want to lose tension after a long day, try a deep shoulder massage. If you suffer from back pains, adjust the roller width and target the respective areas. The remote will become your primary controller when using the massage chair. After all, you don't want to struggle to set a program, then try to find your way to the chair while the program is already running. Imagine turning it off. From this point of view, the remote will allow you to relax comfortably and start, adjust and stop programs as you wish. However, remote controllers will always get lost. Whether it's the one for your TV or massage chair, chances are you'll lose it occasionally. It's frustrating, but it doesn't mean you can't use the machine. In fact, the tethered controls on the iJoy Active 2.0 are handy and simple. They're easily accessible, so you won't need to stand up or crouch. Simply look at the panel while on the chair and customize your program. With time, you'll learn to use these programs without even looking. 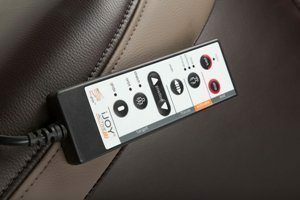 To make things even more convenient, most Human Touch massage chairs come with a storage compartment to store the remote when not in use – this model makes no exception either. Most massage chairs come with a reclining feature. The basic models can barely recline to 20 degrees. Most chairs can recline to 30 degrees. Human Touch takes comfort to a new dimension – 45 degrees. 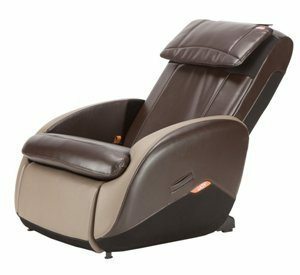 Think about it for a second – this massage chair is supposed to be the most comfortable thing in your house apart from your bed mattress. What can be more relaxing than laying down at 45 degrees, closing your eyes and starting the massage chair? If you think about it, there isn't such a major difference between 30 and 45 degrees. 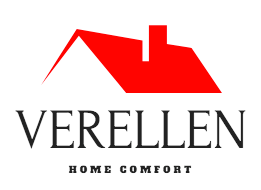 We have tested both varieties, and we can agree that regarding comfort and relaxation, the difference is enormous. Reclining at 30 degrees is between sitting and laying down. At 45 degrees, you're laying down and can just as well take a nap. This feature makes the chair even better after a long day at work or an intense workout. The reason behind this 45-degree angle is quite obvious. Most chairs are bulky and large so that reclining will cause trouble to those without too much space. Since this model is compact, it can properly recline at a comfortable angle. The chair can be reclined to almost 180 degrees. Pretty much everything about Human Touch iJoy Massage Chair is adjustable. It's deeply customizable and allows a multitude of combinations. At some point, you may not even feel too much difference between one style and another, especially after slight changes. All in all, the way it gives you a massage can go in two directions. It relies on both traditional massages techniques and rollers. Each mode has its benefits. While rollers are highly recommended to reduce tension and pain, massages are more about relaxation. Both techniques will increase relaxation, relieve pain and boost blood circulation though. Other than that, it's fairly simple to change the focus by adjusting the roller width. For example, you can focus a massage on the shoulders or the lower back. If you want a full massage, just cover the whole back. The focus is ideal if one area, in particular, is painful and requires more attention. The overall design is probably the last thing you should care about. You buy a massage chair to relax and relieve pain. If you want something that looks good in your living room or office, you choose an armchair to match the décor. For plenty of people, it does payoff to invest in a good-looking piece of furniture that also serves a role. Human Touch knows that, so the iJoy Human Touch massage chair is not just efficient, but also appealing. It has a futuristic design – far from traditional armchairs. It comes in two colors as well – light gray and espresso. The top is made of SofHyde materials, which perfectly replicate the look of leather, as well as its durability. It won't start peeling after a few months like those cheap office chairs. Overall, the design is sleek. It's mostly suitable for modernist places. It can perfectly fit into an office, as well as a futuristic living room. If style is so important to you and you can't match your décor, just put it in the living room where no one will see it. 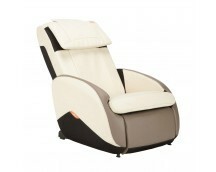 Regarding durability, the massage chair is based on a sturdy metallic frame. It's not visible though. There are no doubts that iJoy Active 2.0 is a complete massage chair. Its features work like advertised, and it provides a multipurpose experience. However, technical specifications are not to be overlooked, or you risk ending up with some surprises. The chair weighs 100 pounds. It's not too heavy and can be moved around without too much hassle, yet it's a bit uncomfortable due to its shape. It can take people up to 100 pounds in weight. If you're overweight, you better look at another model. Apart from the actual measurements, make sure you count the reclined measurements before you find a place for it. When fully reclined, it measures 62 x 27 x 30 inches. Worried about your unusual body construction? The seat measures 18 x 19 inches, and it goes to 27 inches in height. The chair provides different massaging techniques, as well as three preset programs and deep customization – ideal for both beginners and more experienced users. It allows targeting the problematic area by adjusting the roller width. The design is compact and can go into small flats or rooms. 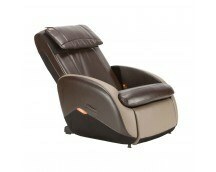 It reclines close to 180 degrees. It has multiple controls that you can reach in two different ways – tethered controller and remote controller. It might feel uncomfortable for tall or wide people. It doesn't have a footrest – a common feature in this segment. In the end, we hope our Human Touch iJoy Active 2.0 Massage Chair review is detailed enough to help you make an informed decision. This is one of the best-selling massage chairs online, so there must be something good about it. Overall, it's rated at 3.9 out of 5 stars, but we rate it at 4.5 stars. It lacks a few essential features, and it can't accommodate large people, but other than that, it leaves no room for interpretation.